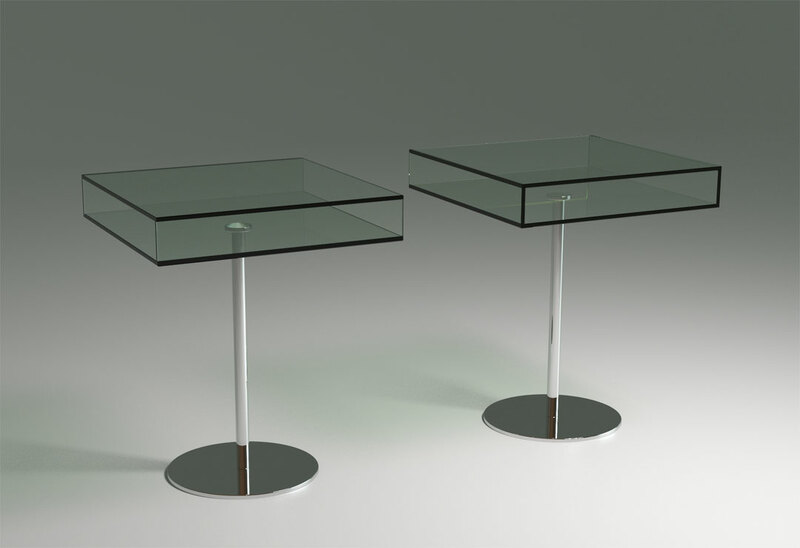 This elegant and timeless coffee or side table stands out due to its strictly reduced and elementary geometry of cylinders and cuboids. 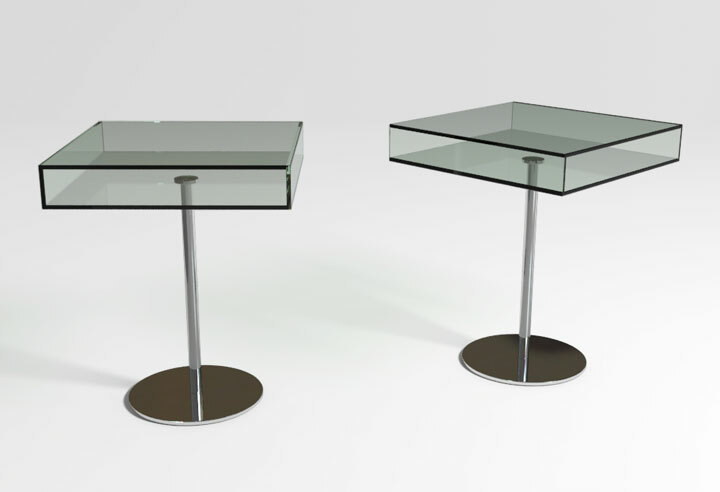 A flat cube, open on two sides, made from 10 mm thick, in mitred glued together glass plates, serves as a set-down area on the one side and on the other side as a decent storage and presentation platform. 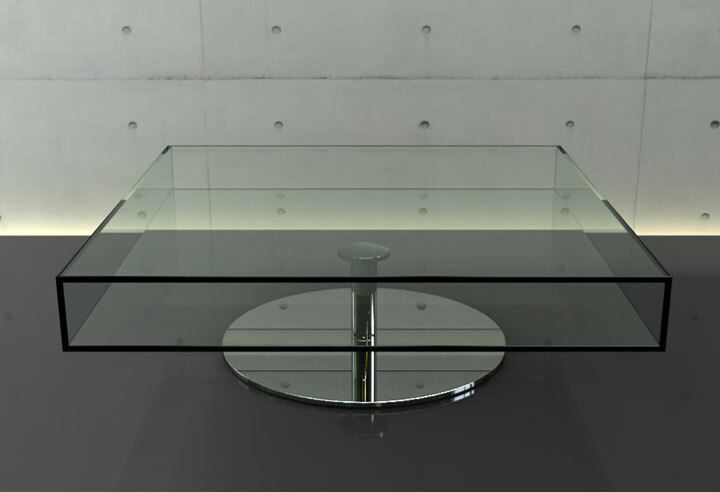 The architectural digest awarded these tables as one of the best german products.